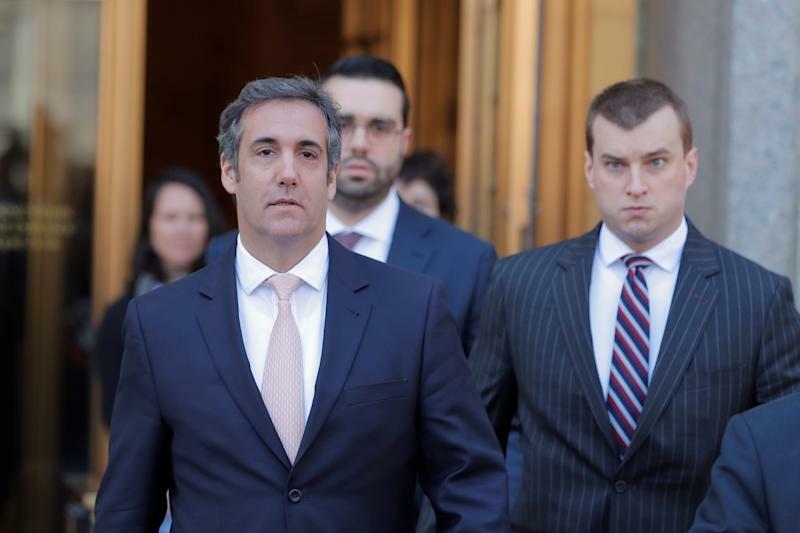 PresidentDonald Trumpreported having paid his personal attorney Michael Cohen more than $100,000 as a reimbursement for a payment made to a third party, documents released on Wednesday confirmed. A reason for the payment to Cohen was not specified in the federally required financial disclosure that the Office of Government Ethics (OGE) released,The New York Times reported. The disclosure notes that though Cohen made the payment in 2016, Trump didn’t fully reimburse him for it until 2017. Cohenhas admitted to having paid$130,000 in 2016 to adult film actress Stephanie Clifford, also known as Stormy Daniels, who has gone public about a 2006 affair that she claims to have had with Trump. The Wall Street Journalbroke the news of the payment in January. Details over that alleged affair and payments to Clifford have been far from clear. Trump’s attorney, former New York City Mayor Rudy Giuliani, earlier this month told Fox News that Trump reimbursed Cohen$130,000 for the payment to Clifford before the 2016 presidential election. Giuliani’s statement contradicted Trump earlier having said thathe had no knowledge about any paymentmade to Clifford through Cohen. Trump's personal lawyer Michael Cohen, seen left, has admitted to having paid $130,000 to the adult film actress. Trump’s financial disclosure on Wednesday, which only covers the 2017 calendar year, immediately raised concern among government watchdog groups over its timing. David J. Apol, the acting director of the OGE,sent a letter to U.S. Deputy Attorney General Rod Rosenstein onWednesday. In the letter, he noted that Trump’s payment to Cohen “should have been reported as a liability on his public financial disclosure report” for the 2016 calendar year, which the president signed in June 2017. “OGE has determined that the information provided in that note meets the disclosure requirements for a reportable liability under the Ethics in Government Act,” Apol stated. Ina statement responding to Trump’s financial disclosure,Noah Bookbinder, CREW’s executive director, questioned how many other “similar payments” Trump has not disclosed. “It is good that in the face of overwhelming evidence and public pressure, the president came clean about this liability on this year’s form, but we now have to wonder how many other liabilities for similar payments he has that he still has not disclosed because he has not been publicly called out on them,” Bookbinder said. The exact figure specified in the financial disclosure is said to be between $100,000 and $250,000. This story has been updated to include Bookbinder’s response.